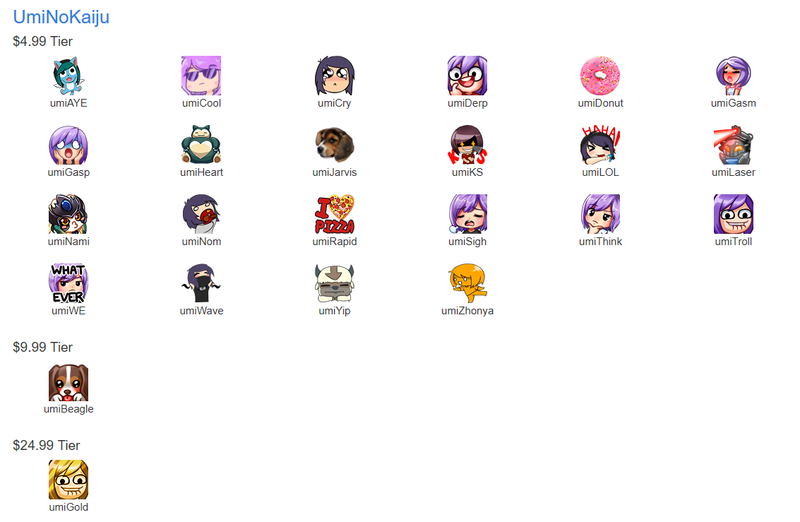 Access to the best emotes in all channels. Membership to my subscriber Facebook group. Subscribers of 3+ months get my personal snapchat. COOL ANBU SUB ICON next to your name. Ability to post links without a permit. Priority to play with me all day on SUB Tuesday! Subscribers of 6+ months can apply to my subscriber Twitch Team! Ability to request songs on stream when song requests are on. Sub luck in on-stream giveaways. UmiNoKaiju backpacks on sale now!